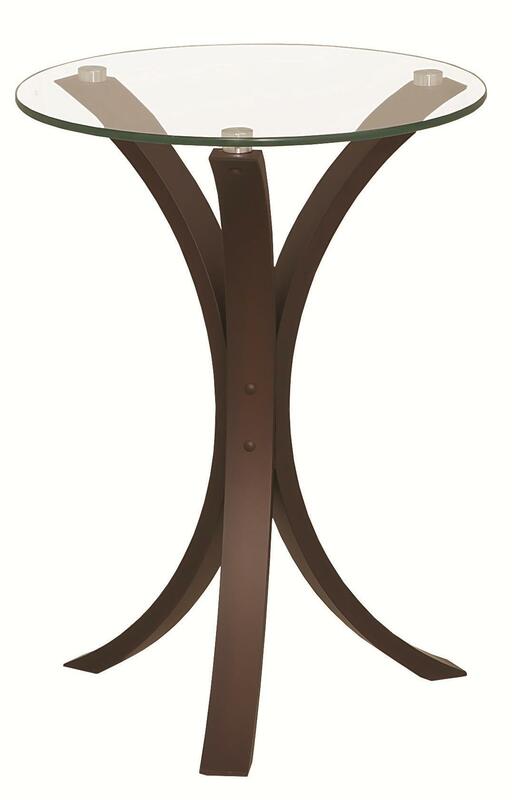 With a perfect fit for a small space, this glass top side table can go anywhere in your home. The glass top allows you to see the rich cappuccino base supporting it. The Accent Tables Snack Table w/ Glass Table by Coaster at Northeast Factory Direct in the Cleveland, Eastlake, Westlake, Mentor, Medina, Macedonia, Ohio area. Product availability may vary. Contact us for the most current availability on this product.